I have just returned from Heathrow, where I saw Liz off on the first of three legs (that's the journey that has three legs, not Liz !). The story was that they were catching a Turkish Airlines flight to Istanbul, where they will meet with the rest of the team who flew to Istanbul from Manchester. However, as some readers may be aware, Liz has just sold the Village Dental Practice in Knebworth and so I have a suspicion that, after I left her, she made her way to one of the other terminals to catch a flight to the Cayman Islands, never to be seen again and with no trace here of the sale proceeds ! 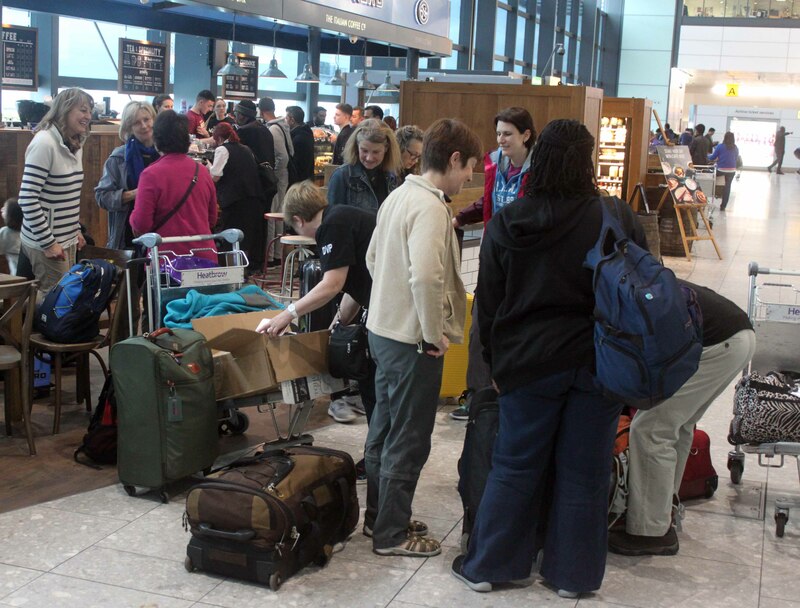 They all met up at Costa Coffee (other coffee shops are available) in the wonderful new Terminal 2 at Heathrow, where each of them had to open their luggage to make way for head torches and batteries that Bridge2Aid are giving to the Tanzanian doctors who will be trained. Some of the team Liz knows from previous trips but there are also some first-timers who were clearly a bit nervous about what conditions will be like when they get there. Turkish Airlines Flight TK 1980 pushed back on time at 11.40 and was airborne at 12.07, en route to Istanbul, where they will meet the rest of the team, who were flying to Turkey from Manchester. The first leg is 3 hours 50 mins and by the time they arrive in Mwanza, it will be 22 hours since Liz left home ! They are flying via Istanbul as there are no longer any direct flights to Dar es Salaam, the former capital of Tanzania. The flight landed on time (as did the Manchester flight) and I spoke to Liz whilst she was at the airport. Apparently they had awful turbulence over the Alps, with drinks flying everywhere and people screaming. By the time they at Istanbul, they were ready to kiss the tarmac. Not exactly a Turkish delight ! In theory they only had a 1h 40min stopover in Istanbul but it looks like the flight to Dar was delayed and took off an hour late. I don't they will mind as they now have a 7 hr 25 min flight, arriving in the early hours of tomorrow morning (now estimated at 04.49) and are then due to fly up to Mwanza at 06.15 ! Quite a marathon ! Flight TK 603 from Istanbul landed at Dar es Salaam at 04.12 local time (3 hours ahead of us); so, in the end, it was only half an hour late. They did not have too much time but made it onto the FastJet flight up to Mwanza, an airline which was founded by Sir Stelios Haji-Iaonnou, the founder of EasyJet. 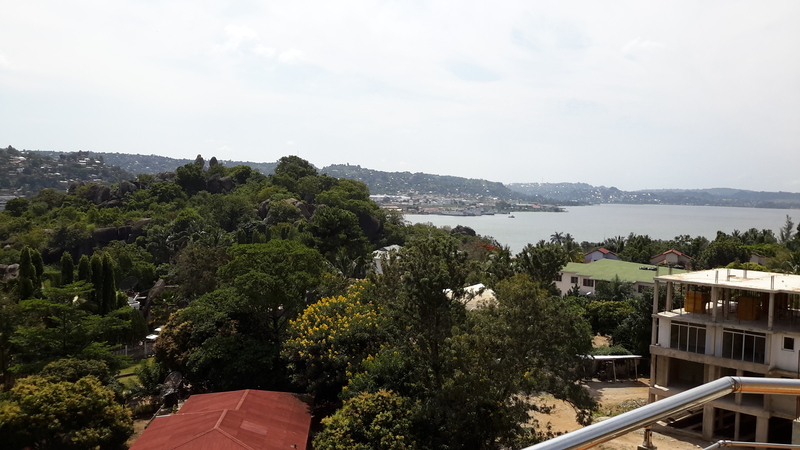 Mwanza is where Bridge2Aid (the charity they are working for) is based and where it has a permanent state-of-the-art clinic, which helps to fund the charitable activities. B2A have so far run 66 separate trips with 626 volunteers participating. Liz met one of the B2A trustees, the ex Head of UK operations for IBM, who will accompany them to the clinic tomorrow. They have promised not to make it too gory ! They went out to a Chinese restaurant this evening (see http://www.yunlonghotel.com/ ) and went to bed early as they have to set off at 06.30 tomorrow. They will catch the ferry across the inlet, South of Mwanza and then drive 3 hours direct to the remote clinic and will not check into their hotel in Geita until the evening. I must remember NOT to ask Liz how the 'holiday' was when she returns ! The other team have a FIVE hour car journey ! Whilst writing this update I have had greetings from a reader in Utah and from two friends who have just returned from the Cayman Islands, where they read the first update. 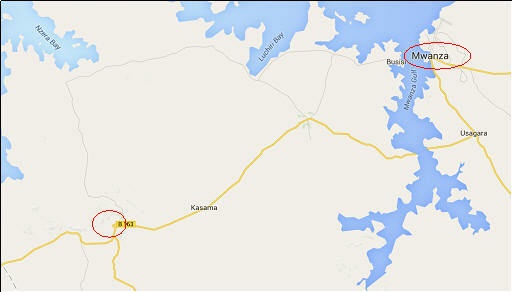 This year Liz's team is based in Geita (see map), a town of about 40,000 inhabitants. The other team is almost diametrically in the other direction from Mwanza, in the own of Tarime, very close to the border with Kenya. Avid readers (are there any?) of this blog in previous years may recall that, on a previous trip, Liz and her team were billeted at the gold mine in Geita, run by Barrick mining, one of the main sponsors of the charity. This year they are staying in the Lenny Hotel (see http://www.lennyhotel.com/), which puts me in mind of Lenny the Lion from children's TV in the 1960s (well, lions do live in Africa) and the Premier Inn ads with Lenny Henry. One of their two vehicles made it onto the ferry as the last to board and so Liz had to wait a while to get across the inlet. They then drove straight to the clinic in Kharumwa, which is about 55 miles from Geita, along a well-maintained but non-tarmac road. Whilst there is a Wikipedia entry for the village, I cannot find much about it on the internet and Google maps places it in the middle of nowhere, which is, doubtless, quite accurate ! The clinic is very nice but, as always, there is no running water and no electricity; even the staff loo is just of the 'squat' variety. They arrived at about midday and then set up and, after a lunch of chicken stew, started to train the 6 clinical officers (5 men - 1 woman), who had spent the morning learning the theory. This is a change to the previous approach and it is hoped that the juxtaposition of the theory and the practice will make it more likely that the theory will 'stick'. At one point they were asked if they would mind if the health centre used the bed in the corner and a few minutes later someone was having a blood transfusion whilst they did dentistry around him. They are being accompanied by Adi, an epidemiologist who is working with B2A and who was asking the patients a lot of questions. Liz managed to get through by 'phone and text as the WIFI is a bit suspect at the hotel; she has received some email and so it must be intermittent. We were going to try to keep up on Skype but that may not be possible. The accommodation (as can be seen on the website) is rondavel-type buildings, each comprising three rooms and Liz said that the first-timers have been asking if the accommodation is always so nice. If you have read this blog before then you will know that the answer to that is a big NO ! 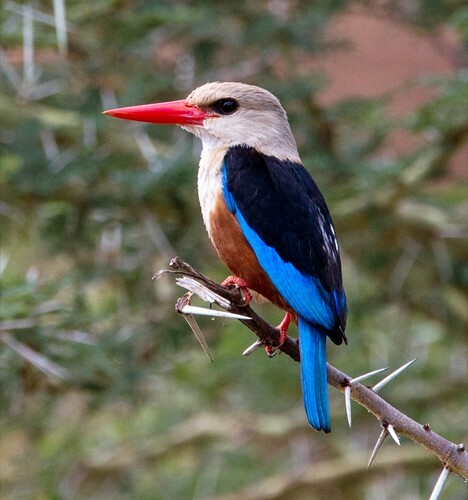 As always, Liz is on the look-out for wildlife and saw a grey-headed kingfisher yesterday. Welcome today to readers in Jamaica, from whom I received an email. b) the internet is still down. "ensures faster and convenient connectivity for effective communication with your families and friends around the world." On the back of that Liz bought a Samsung tablet which she had been hoping to use to take photos and email through updates; she is, doubtless, extremely frustrated. Given that they are in quite a major town, I am not sure why her phone worked yesterday but not today but I hope that normal service will be provided tomorrow. I Googled Kharumwa today and found that the Health Centre (where they are based) was actually upgraded to a district hospital in 2011. The only other reference to the village was, ironically, that the Primary School had won a prize in 2012 in a competition sponsored by a Tanzania company called ChemiCotex - the manufacturer of Whitedent toothpaste ! I thought that you might enjoy the picture of the type of kingfisher that they saw in Mwanza. I awoke this morning to find THREE text messages from Liz, actually written last night but clearly not sent until today. I had texted Brian, the team leader, to suggest that Liz try changing network but I doubt if that is why she managed to get through as I would be surprised if there is more than one network ! The local B2A 'fixer', who accompanies them, asked the hotel to reboot the server but that did no good and so the supplier is coming out today to have a look at why the internet is not working. As Liz wrote "Don't hold your breath'. They had a busy day yesterday and saw 80 patients and went to see the District Medical Officer, who welcomed them in his office at the Health Centre, where they all signed the visitors book. They were joined by Mark Topley, the Chief Executive of the charity, who came out from Mwanza with his god-daughter, who is helping out at the Hope Dental Centre in Mwanza for 3 months. Liz was training the same Clinical Officer, Lawi who is very keen to learn but Liz said she was exhausted as he cannot understand English very well and she has to repeat everything VERY slowly. The idea of the clinical officers having one hour theory first thing in the morning seems to be working because it means that, when the team arrive in the mini bus from Geita, they can immediately put the theory into practice. The bed in the corner seems to be multi-use; today it served for blood tests and a bed for a tired baby. Liz treated one patient who was on a drip as she had malaria (the patient, not Liz!). Most patients have been in dental pain for over a year and one woman said it had been going on for FIVE years. Five HOURS is too long for me! Lots of patients keep being brought past on stretchers, presumably with malaria or having had some sort of procedure. The temperature is about 300 C (860 F for our readers in the US). Liz said that finding fresh rat droppings in the toilet was not unexpected but when they found them in the corner of the sterilisation room that was a first! I don't think that my line "Don't worry, the snakes will eat the rats" was particularly well received. En route to the clinic they passed through rice fields with scores of egrets. When they got back to the hotel they found that their laundry had been mixed up; she has acquired a striped nightie. The plan was to take everything down to dinner and to swap. Innocent has spoken with the general manager of the hotel and the internet cable to the hotel is down. There are hopes (?) that it may be fixed tomorrow. Just in case, she is going to take some photos, ready to email them to me. I passed on greetings from everyone who has been in contact with me, including her new boss and some friends who live in Lanzagrotty. Today I went onto the B2A website and saw that they have posted a few interviews (see http://www.bridge2aid.org/news-views/blogs/ ) that were filmed whilst the team were in Mwanza on Monday. Somehow Liz seems to have escaped being interviewed, which is a shame. It’s funny seeing people, whom I met at the airport on Sunday, now on film out there. 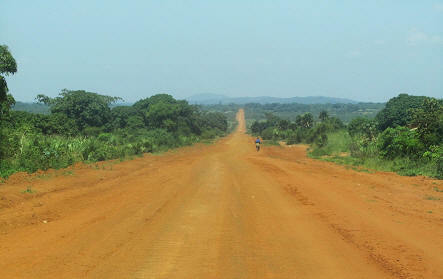 the road outside of Geita town that they drive along to get to Kharumwa. As you can see, it’s not exactly rural Hertfordshire ! Yesterday evening I went out for dinner with our friends, Tony and Janet. Janet grew up in Uganda and went out to Tanzania with B2A in 2012. Looking at the picture of the roads she added a new word to my vocabulary, which could come in useful in Scrabble. 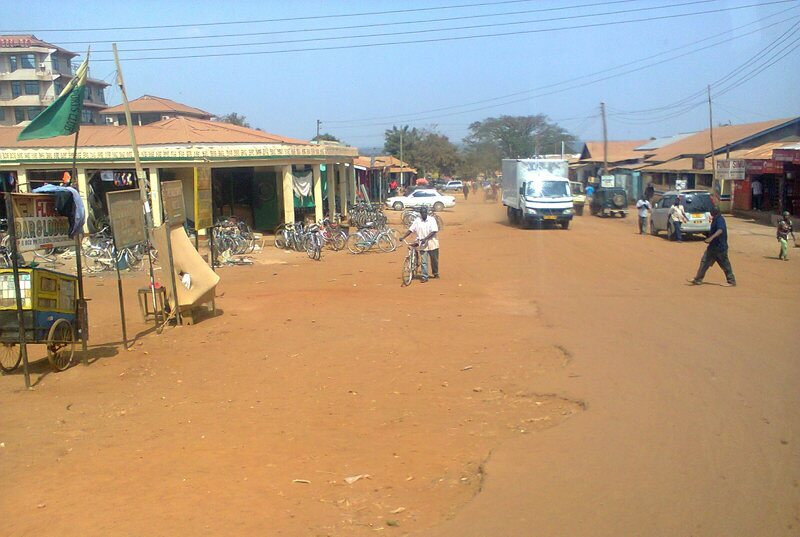 That word is ‘murram’ and this is the sort of compacted soil that is used for the roads – OK until the rainy season ! They finished at Kharumwa today, which Liz says is just as well as the 1 ½ hours each way along the murram (put to use already) roads was extremely tiring. The second clinic, thankfully, is only 45 km (28 miles) from Geita. They saw 111 patients today but sadly had to turn away 25 patients as they ran out of time. I don’t know if any of the clinical officers are actually based at this clinic but, slowly but surely, B2A is ensuring that more clinics have doctors who can offer basic dentistry so that patients do not have to suffer. And suffer they do, if there is no trained doctor around; they saw one 9-year old boy today who had a swelling due to a tooth abscess which had not been helped by the fact that the local witch doctor had tried to lance the abscess by trying, three times, to cure the problem by puncturing the poor boy’s cheek. Heaven knows what he used ! Regular readers may recall that, just prior to Liz's first trip, a witch doctor, rather peeved that his 'turf' was being invaded, had tried to take out a tooth with a screwdriver, leaving the patient to bleed to death. The District Dental Office, who is with them, took out the boy's tooth and gave him some antibiotics to stop the wounds in his cheek from becoming infected. Liz treated a 14 year-old girl who needed three teeth extracted. The clinical officer was busy giving a talk to the crowd on oral hygiene and diet and so the girl’s father, who spoke English, pointed the hand-held torch into his daughter’s mouth so that Liz could see what she was doing. He kept asking questions and Liz thinks that will be the end of fizzy drinks for his daughter ! 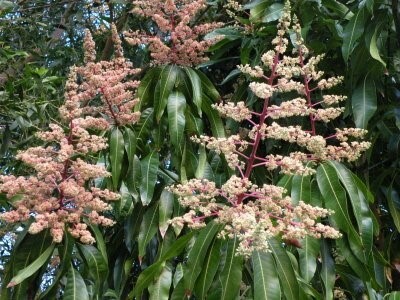 Lots of potatoes, maize, bananas and loads of mango trees in flower (cue photo). 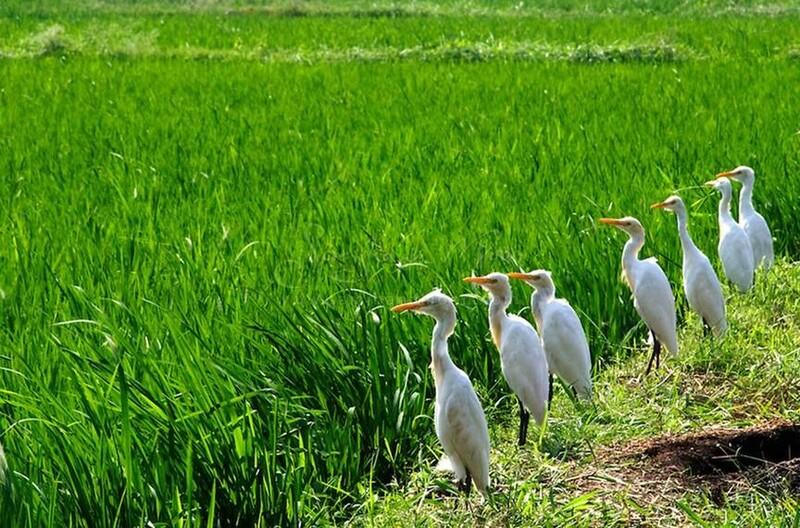 After the mention of egrets in the paddy fields yesterday, I also found this photo. They had another visit today from the local mine (see http://www.acaciamining.com/sustainability/acacia-maendeleo-fund.aspx ) who are sponsoring the trip and John Simba from B2A was interviewed by the national newspaper, The Guardian. No sign of the internet having been repaired but Liz was singing the praises of the hotel, which is easily the best in town. They don’t fancy going out, though, and trying to find any other WIFI, as the town has a bit of a Wild West feel about it. I have had an email from the Lanzarote Tourist Board (AKA our friends) berating me for calling the island 'Lanzagrotty'. Apparently they are currently enjoying an unprecedented effusion of colour as long-buried seeds and bulbs have come out in flower. Valentine's Day ! The lengths that Liz goes to in order to avoid being taken out for a meal ! Brian, the team leader, has apparently sent his wife a bunch of red roses - what a romantic ! Today they moved operations to the Nyang'hwale Health Centre. Nyang'hwale seems to be the name of the district and so I am not too sure where the clinic is. Liz told me that the B2A guy has managed to send through some photos of the previous clinic to the team in Mwanza and I have 'borrowed' one of the photos from their Facebook page. It could well be the clinical officer giving the talk to the crowd that I referred to yesterday. They arrived at the new clinic today to find that there was a large swarm of bees on one of the walls of the new building in which they were supposed to be based and so they had to use a different building and put the tables out on the veranda. Some men arrived to spray the room and they should be in the main building on Monday (tomorrow is a rest day). Apparently they are quite aggressive ( one always hears of African 'killer' bees ) and so it was important not to get anywhere near the swarm. They saw 72 patients, 5 of whom had travelled from the previous clinic 35 km away! As always, there was no running water but there is a well 2 km away and some enterprising boys were running a business, collecting water from the well. They charged 20p to cycle there and then walk back with three large containers of water. Liz treated the headmaster from the local school, which has 600 pupils. Apparently each class has over 100 pupils (!) and they are building an extension for the older children. The government pays for free education up to the age of 15 and then the family somehow has to find the money for 6th form. Liz was training Jacob today, who has two daughters, both of who are training to be clinical officers. She also treated a lady who fell over 6 months ago and broke her arm. She could not get to a hospital and there was nobody to set the arm properly and so it healed at an odd angle, making it very difficult for her. The next time I find myself waiting at the surgery or in A+E in Stevenage, I will try and bear her in mind. She has given up ever being able to use her tablet to communicate; at least she can read books on it ! They visit the local market tomorrow; I must try and find a suitable picture. 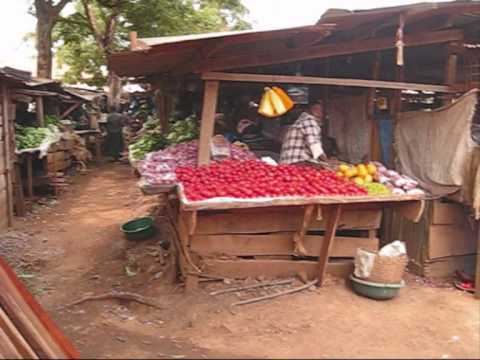 I found this picture of Geita market - not exactly Tesco but then they're probably not having to close down stalls and I'm sure that their profits were not misstated by £250 million ! One reader wrote to me yesterday to suggest that The Sterile Room Rat Droppings really ought to be the name of a heavy metal band. By the way, it's TEN years now since founders, Ian and Andie Wilson, opened the Hope Dental Centre in Mwanza and the first team of volunteers went out to train Clinical Officers. They have now returned to the UK and champion the cause from here. Ian will, doubtless, be hoping that Sunderland defeat Bradford in the FA Cup this afternoon. Spoke to Liz just after she had got back from a swim in the hotel pool (described as being 'enormous' on the web site), where a party was going on with a thudding disco. They were probably the first white people ever to have swum in the pool. It is overcast now and about to rain but they managed to get out to the local market this morning which has loads of pineapples, bananas and avocados, although Liz has not seen any of the latter growing. She managed to resist buying more garish African batik-patterned material but Su had succumbed. I have just been contacted by Katie, the sister of Debbie, one of the nurses in Geita. She is reading the blog in that most exotic of locations, Birmingham. Do get in touch as always welcome feedback. Oh dear, looks like Sunderland are out of the FA Cup ! Yesterday evening I went down to the local Health Club (no, really, there's no need to applaud). Someone had left the poolside shower running for a few minutes. Mindful of the blog entry for Saturday, I wondered how many return trips to the Nyang'hwale well that would equate to ! 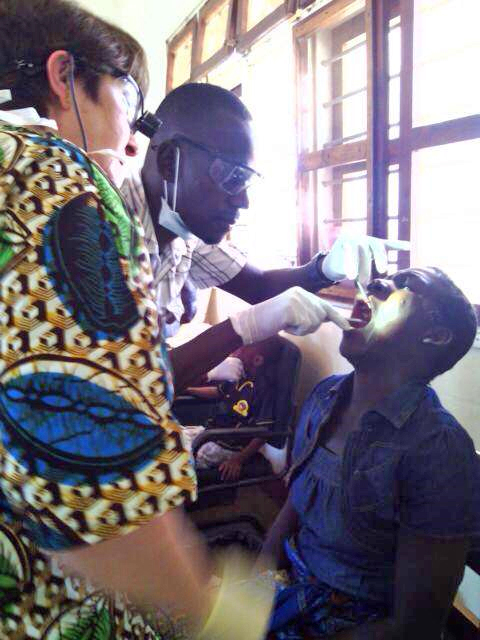 On the B2A website I found this picture of Liz treating a patient at the first clinic. Liz is wearing some scrubs that she had made from batik material that she bought on a previous trip - very fetching! This must have been taken before the battery ran out on her head-torch. Typically, when they're not actually working out on the veranda, they try and get as close to the window as they can as, clearly, there is no electricity and hence no lights in the clinic. Today was REALLY hot, particularly for the nurses in the sterilisation room. They were in the main building today (without the bees!) but this has a corrugated iron roof which merely traps the heat. They were also out on the veranda, which was slightly cooler. One patient nearly fainted as he had not eaten for two days because of toothache and then had walked for an hour to the clinic in the sun ! The clinical officers had their examination today and the team will decide tomorrow who passes and who has to re-sit. They treated 102 patients today; it was mother-and-baby clinic day and so there were lots of cute babies. Lots of the mothers arrived on bicycles that would make Boris bikes look positively sporty. They had to help one woman as she was trying to pump up a tyre with her baby trapped to her back. 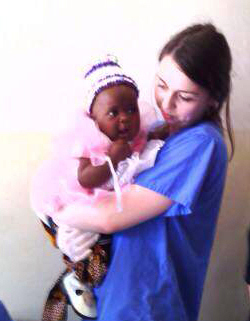 I went onto the B2A site and found this picture, taken at the first clinic, of one of the nurses (sorry, I don't know her name) with one of the younger visitors. Lunch today was provided by local people and was an excellent chicken stew with bananas, spinach and roast potatoes. Because the clinic is so much nearer, they got back early and managed to cool off in the pool (is this a B2A first!) floating around in rubber rings. As I was sitting on the train at King's Cross this evening, I got an email from Elaine Gaffney, who is on the other team at Tarime, near the Kenya border. She had finally managed to get internet access. All seems to be well with them, although the hotel was described as Okay.... ish ! Late yesterday evening I received an email from Judy Beckerson, veteran (meant in the sense of 'long-serving') of many previous B2A trips to Tanzania with Liz and others. She sends her regards to the teams in Tarime and Geita and I will pass on greetings to Liz, when we speak tomorrow. Today we welcome readers in Marrakech, Morocco, where two friends from church are souking up some winter sunshine (no that was NOT a typo). Liz supervised Paulo today and was pleased to report that all she had to do was to hold the torch whilst he did all of the work. In fact all of the Clinical Officers (COs) passed their exams. With an average of 10,000 patients per CO, that means another 60,000 people who will now have access to basic dental treatment. Clearly, given the lack of running water and electricity in the clinics, this treatment will be limited to extractions and oral hygiene but this is a major step forward, considering the ‘alternative’ treatments offered by the witch doctors. Today they saw 98 patients and Paulo alone saw 15. The AVERAGE time that patients had been in pain worked out at about FOUR YEARS ! They had to put off 30 patients who will come back tomorrow. 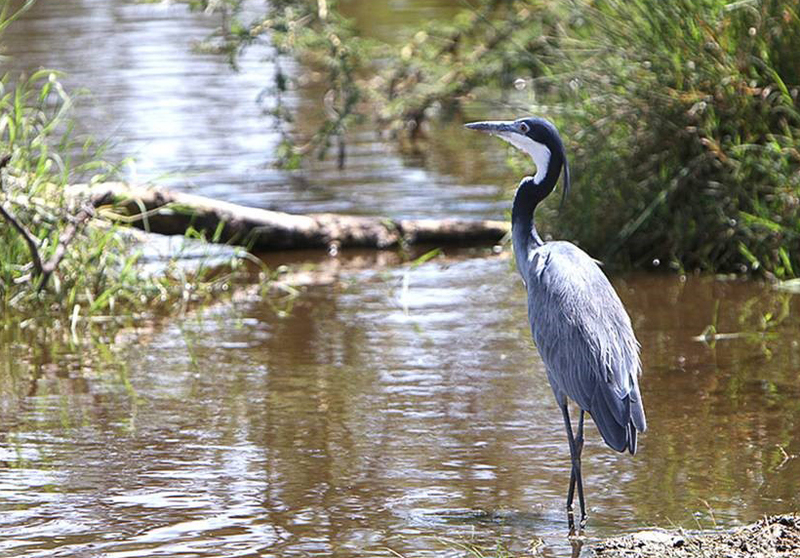 Monkeys ran across the road in front of the jeep and Liz saw some black-headed herons (below). All of the mimosa trees are in flower, which is pretty. 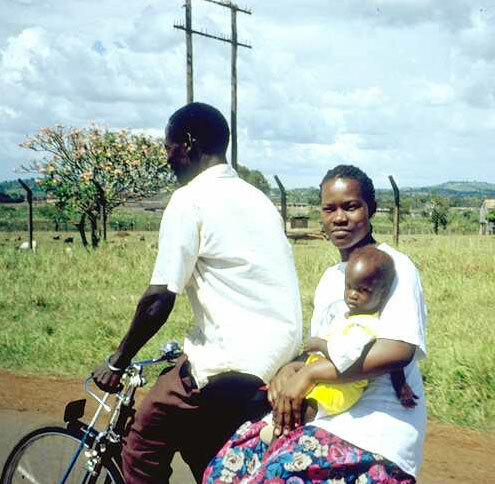 Whilst they were in Geita, waiting in the Jeep, a man offered 100 cattle to buy Rachel, one of the nurses – no offers, though, for either Liz or Su ! This evening, as it is to be Brian’s last trip with B2A, they are planning a surprise for him.. If you get the chance, do read the report on the Geita clinics by B2A's Chief Executive Officer, Mark Topley, which, inter alia, has a photo of Su ! This morning I received positive feedback from a reader in Palo Alto in California; interesting to see who is out there reading it ! 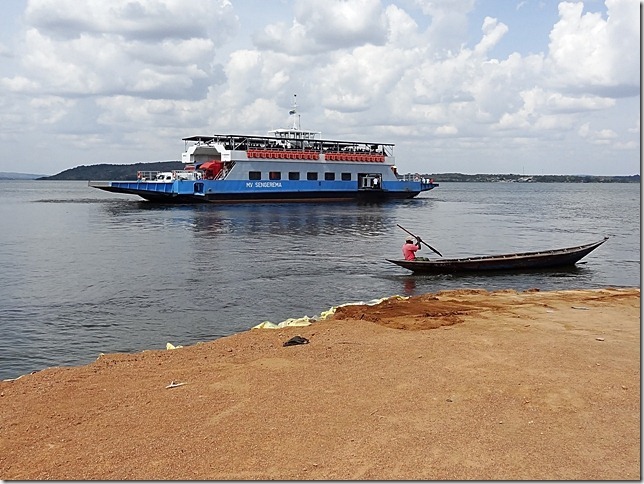 I had just decided that today’s ‘local colour’ photo would be one of the Busisi-Kikongo ferry (pictured here) when I received a text from Liz saying that she was waiting in the queue of vehicles to get on board the ferry. Today, after presenting the COs with their certificates, they said goodbye to the clinic and to the Geita area and made their way back to Mwanza. 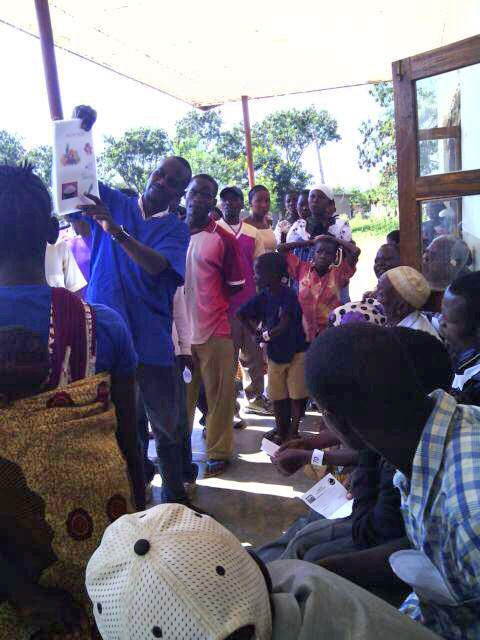 In total, during their time at the two clinics, they treated 568 patients but – MUCH more importantly – they left a legacy of 6 Clinical Officers who now know how to extract teeth, and have the equipment to do so, and can give instruction on basic oral hygiene, as well as knowing when to refer patients to the Hope Dental Centre in Mwanza. They arrived back in Mwanza and checked into the Isamilo Lodge (www.isamilolodge.com) where they met up with the members of the team from Tarime. As usual, they then had a Thank You meal in the evening. Some of them (not Liz and Su, this year) will have to be up at 06.00 tomorrow morning to go off on their mini-safari in the Serengeti for two nights. Liz managed to Skype me later in the evening and it was odd to see her (lightly tanned) in the lobby of the hotel. She managed send me a few photos as well, now that she has internet access. Click on any pf these below to enlarge. She had been keen to send me a picture of the motorbike ambulance. She gave her clogs to one of the COs, Mbuke, to work in and also passed on some old scrubs. Seen in one of the photos are Jacob and Shaban, with the new kit they have each been given by B2A. They could not see all of the patients but Jacob, who is based in a clinic (only!) 20 km away, will see those who can make it to his clinic. This morning they had the formal de-brief session and the two teams can compare their experiences. I see, from the B2A website, that one of the COs in Tarime failed, which shows, as always, that this is no rubber-stamp exercise and that the charity takes the transfer of knowledge extremely seriously. As Brian, the leader of the Geita team, left at 06.00 to go on the mini-safari, he left copious notes with Liz. At 12.50 they take the FastJet flight from Mwanza to Dar, where they will check into an airport hotel for a few hours as the flight to Istanbul is not until 04.35 tomorrow morning. I am not quite sure why they didn't get the later flight at 17.00 but, whichever way, they were destined to have a long lay-over in Dar, not Liz's favourite city ! I have calculated that the elapsed time, from the hotel in Mwanza to home, will be 33 hours ! 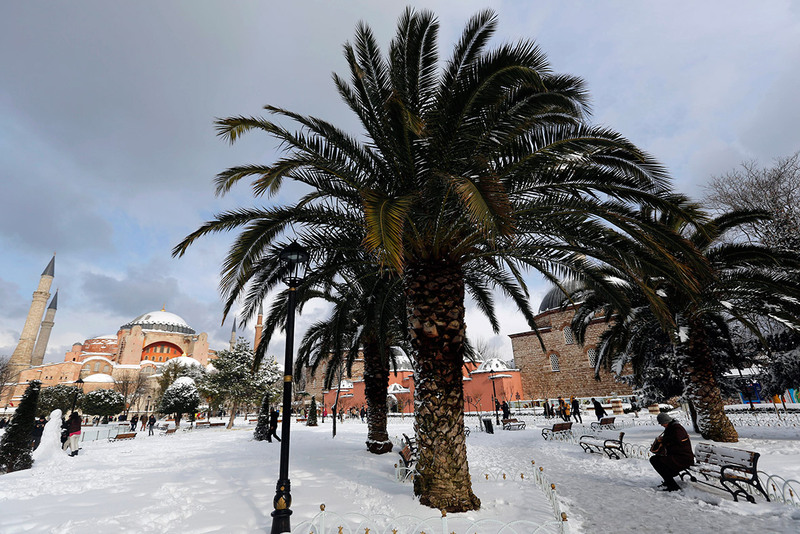 Today's picture is NOT one that I had envisaged posting, namely the Hagia Sophia in Istanbul blanketed in snow. Yes, Istanbul was hit yesterday/today by a snowstorm that shut the airport, causing Turkish Airlines to cancel over 370 flights, including yesterday's flight to Dar. Today's flight has just left, some 2 hours late and so, if they also then leave 2 hours late, they will miss the connection to LHR at Istanbul on the way back. I have spoken to Liz a couple of times to update her as it is easier for me to find out the information. If they can change flights then they will not now arrive at LHR until very late tomorrow evening, but more snow is forecast in Istanbul, that well-know ski resort ! Adds a whole new meaning to the phrase 'cold turkey'. On top of this she is feeling unwell and she reports that it might be cheaper to buy shares in the company that manufactures Immodium ! Liz emailed me at 21.40 (00.40 out there) to say that they were just going off to the airport to see what the airline can do for them; presumably they will get them back to Istanbul on the flight they are due to be on. It will then just be a case of when they can get on a flight back to Heathrow. The inbound flight FROM Istanbul landed at Dar at 05.02 local time (02.01 GMT). It looks as if they turned it around super-fast and it took off again at 06.21 (03.21 GMT) which is pretty amazing. It is now due to land in Istanbul at 12.22 and the flight to LHR is scheduled to depart at 13.00. I did not receive any communication and assume that they are on board. ..... WATCH THIS SPACE ! They landed at 13.16 local time, which must mean that they were circling for an hour ! The updated time for the flight from Istanbul to Heathrow shows that it pushed back at 13.56 and so I assume that it waited for passengers to transfer from the inbound flight. Unfortunately, I will now need to check with the airline. I checked with Turkish Airlines and they advised me that Liz was on the plane to Heathrow. Imagine my surprise, therefore, when she 'phoned me to say that she was in a chaotic terminal at Istanbul surrounded by lots of VERY angry people. She has no idea when they will be able to get back but doubts very much if it will be today ! Liz phoned to say that they have managed to get on the last flight to Heathrow tonight at 20.15. This lands at 22.15 and so, by reckoning, by the time that they get home, it will be about 40 hours since they left the hotel in Mwanza. Mind you, I have just been in touch with the B2A CEO and he says that one his friends, who left Mwanza on Tuesday, is only due to get home later today ! Liz's call reminded me of the last helicopter evacuation flight to leave Saigon in 1975. Liz texted me at 20.08 (18.08 GMT) to say that she is now on board the plane. She also said that she thinks they have been quite lucky (the delay is, in fact, only 7 hours) as they have been overhearing some real horror stories. The plane pushed back at 21.06 (almost an hour late) and is due to arrive at Terminal Two at 22.26 and so it will, doubtless, be tomorrow when they actually arrive home. Message from Liz later this morning ! Glad to have made it back !